Wareham's new solo record is a smooth, low-key affair that showcases his evolution into a more direct songwriter. I’ve always felt that the longer an artist’s career goes on, the more interesting they get. That’s obviously not true of every musician, but the true greats have fascinating turns in the later parts of their careers, even if their work can get frustrating sometimes. As songwriters grow older, they tend to shed some of the pretentions that come with being young and desperate to prove oneself. Hints at an artist’s true nature start to form. This is what we’re starting to see with Dean Wareham, now that he seems less concerned with his past. It’s allowed him to turn out a record like this, Wareham’s first full-length album as a solo artist. The Wareham on display here is blissfully calm, settled in to middle age. The desperate howl that Wareham brought to Galaxie 500 and Luna isn’t present on Dean Wareham, and the album is better for it as this iteration of Wareham’s music is more contemplative than visceral. What’s different here is the very classic bent to Wareham’s songwriting and sound this time around. While his previous collection Emancipated Hearts had a foot in Wareham’s past, this self-titled effort has more connection to the past of popular music as a whole. 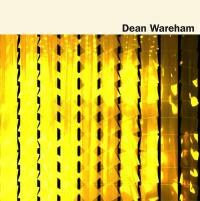 Wareham’s songs have always had roots in folk and psychedelia, but Dean Wareham brings that subtextual aspect of his songs to the forefront. It’s likely that some of this attributable to producer Jim James, and his work on the album strives for that same lived-in, classic feel that My Morning Jacket aim for on their records. While Wareham doesn’t share James’ penchant for jamming, his songs here follow a very traditional path, both in structure and in Wareham’s lyrics. The lyrics indicate a surprisingly quick shift in Wareham’s outlook since Emancipated Hearts. Where the EP found its center in Wareham’s contemplation of time and death, Dean Wareham takes a less dour tone as it looks outward instead of inward. It’s a surprising move from Wareham, and it’s one that doesn’t always work. On songs like “Heartless People” and “Beat the Devil", his sentiments come across as cloying more than affecting. When it does click for Wareham, as on the excellent “Happy and Free", it shows a vulnerable side of him that we haven’t seen before, one that manages to be forthright without being confrontational. For listeners most used to the tension in Wareham’s earlier work, the comfortable singer/songwriter on display here may come as a surprise. So many artists try to keep up a veneer of coolness and pseudo-relevance as they go on in their careers, but it often results in music that’s more embarrassing than anything else. For all of its flaws, Dean Wareham is a comforting listen, one that plays to Wareham’s strengths and showcases organic changes in his signature style. It can get cloying at times, and it’s certainly not a cool record, but it’s honest and forthright in a way that only a songwriter with Wareham’s experience can be. He’s only going to get better from here.